TORONTO - The Canadian dollar fell three-quarter of a U.S. cent Friday to close at a fresh six-month low as Canadian trade data for August widely missed expectations and the greenback strengthened amid a strong U.S. jobs report for September. 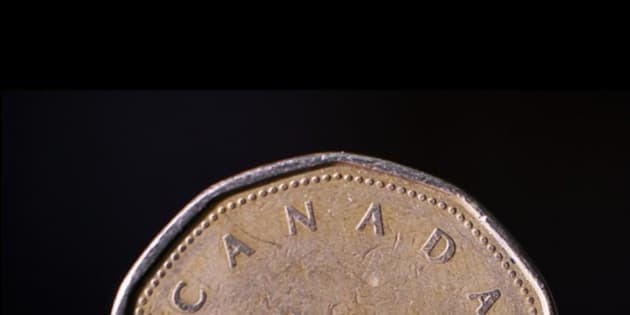 The loonie dropped 0.76 of a cent to 88.82 cents US as Statistics Canada reported that Canada's trade balance hit a deficit of $615 million, down from a surplus of $2.2 billion during August. Merchandise imports rose 3.9 per cent while exports decreased 2.5 per cent. Also, the Labor Department reported that the American economy created 248,000 jobs last month, which handily beat expectations of about 215,000. The jobless rate ticked down 0.2 of a point to 5.9 per cent, the lowest level since July 2008. August job creation was revised upward from 142,000 to 180,000. Canadian employment data for last month will be released next Friday. Commodity prices were weak as the November crude contract on the New York Mercantile Exchange was $1.27 lower to US$89.74 a barrel and down four per cent this week. December copper was unchanged at US$3 a pound. December bullion tumbled $22.20 to US$1,192.90 an ounce, its lowest close since February 2010. The dollar has lost 3.15 U.S. cents since the beginning of September as the U.S. dollar strengthened considerably against other currencies around the globe. Part of the reason is heightened speculation that the U.S. Federal Reserve could hike interest rates next year earlier than expected. But analysts say the bigger story is the dramatically lower euro currency which has lost value amid deteriorating economic conditions and stimulus moves by the European Central Bank.